Heeft u een vraag voor Ban Leelawadee Guesthouse? 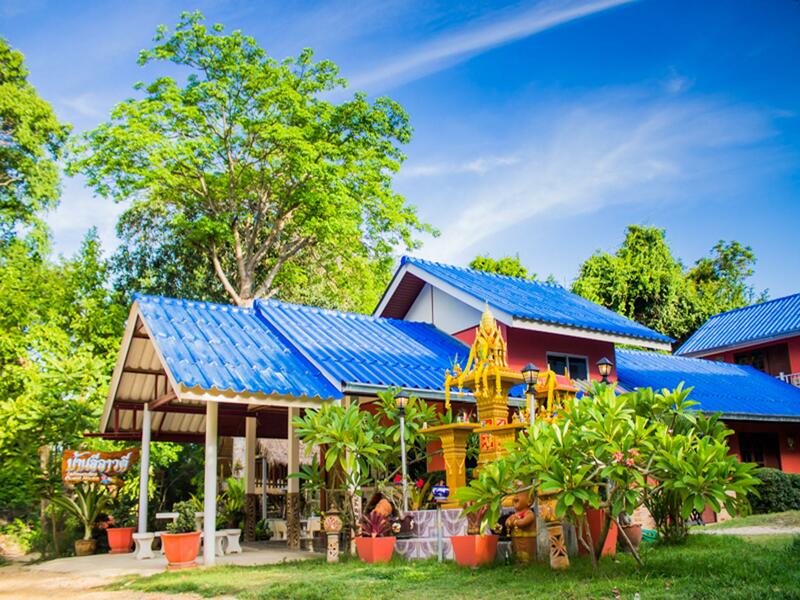 Ban Leelawadee Guesthouse in Ao Pudsa, Koh Samet is een populaire keuze onder reizigers. Vanaf hier kunnen gasten genieten van eenvoudige toegang tot alles wat de levendige stad te bieden heeft. Dankzij de praktische locatie liggen alle belangrijke trekpleisters in de buurt van het hotel. Het Ban Leelawadee Guesthouse biedt gasten superieure dienstverlening plus een breed scala aan voorzieningen en is toegewijd om uw verblijf zo comfortabel als mogelijk te maken. Het hotel biedt gratis wi-fi in alle kamers, wi-fi in openbare ruimtes, parkeerplaats, roomservice, vervoer van/naar luchthaven om gasten een maximaal comfort te garanderen. Hotelkamers zijn zorgvuldig ingericht om het hoogste niveau van comfort te bereiken, met draadloos internet (gratis), airconditioning, wekservice, bureau, ventilator in iedere kamer. U kunt de hele dag genieten van de ontspannen sfeer van de boten, duiken, vissen, solarium, tuin. Fantastische faciliteiten en een uitstekende locatie maken het Ban Leelawadee Guesthouse de perfecte uitvalsbasis om van uw verblijf in Koh Samet te genieten. Voor laat uitchecken van 12:00 tot 17:00 uur wordt 50% van het contracttarief in rekening gebracht. Voor laat uitchecken vanaf 17:00 uur wordt het contracttarief voor 1 nacht in rekening gebracht. Het bedrag dient rechtstreeks aan het hotel betaald te worden. It's not far from Tubtim and Silver Sand. There's no TV but everything else is fine. Location ok, a few hundred meters up the road from a nice beach. There was no daily cleaning or towel change for our whole time there. And the bathroom smelled very bad from the drains. If it was a few hundred baht cheaper, it's ok if you're aware of the above. I liked it there. Quiet and peaceful. Family owner, great value for funds spent, and less than a 5 minute walk down an old dirt road to the beach. Excellent value for funds spent. Also, liked that they took care of laundry and put on a nice little breakfast in the morning. And for me, not crowded by other building and not a resort type. special thanks to Kim and Oe , just great people , made my stay wonderful , I ll be back on the Island soon and I ll go back to Ban Leelawadee for sure. Thanks again Kim and Oe! Leelawadee is about a 2 minute walk from one of the best, most chilled beaches on Samed, but you save quite a bit by staying there. The room is pretty basic, but it's clean. Didn't use the TV or Wifi, so can't comment about that, but the Aircon worked -- albeit a bit weakly. The grounds are nicely kept and green, and it's pretty peaceful. Breakfast is the ham-slice, mini-hot-dogs, 2 eggs and toast variety. They have a bit of an ant issue, so you might find a bit of a surprise in your breakfast lol But it was filling and got us up and out of bed. The downside of the place is the neighbor's rooster. The thing starts up around 4:30 and goes pretty much non stop till 9am. I'm a fairly light sleeper, and even with ear plugs it was waking me up. If you're a very early riser anyway or a heavy sleeper, then there's no problem. But yeah, I kind of wanted to eat that rooster for breakfast instead of just the eggs. lol Location wise, it's good. There's a bit of a rough-and-rugged road that leads down to the back of Tubtim resort. It's kind of a garbage-strewn trail, which somebody should clean up...but that's kind of the samed way it seems. Not a lot of effort put in by the government to keep what should be a pristine area clean. Once on the beach though, you'll forget all that. There are beach chill bars and restaurants. The water there is clean. Zero Chinese package tourists, which means it's quiet all day, even when crowded, and you don't have to watch people spitting onto the sand. It's also an easy walk around the trail to the next beach, which has a lot going on. Overall, I couldn't stay again because of the rooster, but if that's not an issue and you can get a deal on the room, you can save a bundle compared to the resorts on the beach. Good firm bed. Noisy fan (which i macgyvered). Very low water pressure in the shower. Very peaceful and quiet. Friendly staff. Great money value for a couple, alone a bit expensive but ok. Some ants in the bathroom. A bit walk up the hill, but it's value for money. Nice lady will take care of you. Returning guests. Up a sandy road. 150 mtrs from tubtim /pudsa beach! Simple rooms. Bed, fridge, hot shower, toilet. Good for island and beach life! Mostly affordable! And value! For few years i payed not much for the rooms and then i can accept the Löw standards Sometimes they ask higher price then its not Worth. Location is good. But verry noice But Iff you have shouting People in 5 * hotel you have the same problem. They didn't clean our room once in 3 days, and didn't give clean towels, or empty trash. Beds got very sandy by end of 3.5 days/nights. However, for location it is good, quiet and walkable to everything you need, off the noise. The family room seems overpriced for what you're getting , but it was high season so prices inflates. Breakfast daily was good. Staff was OK, but sometimes hard to find. 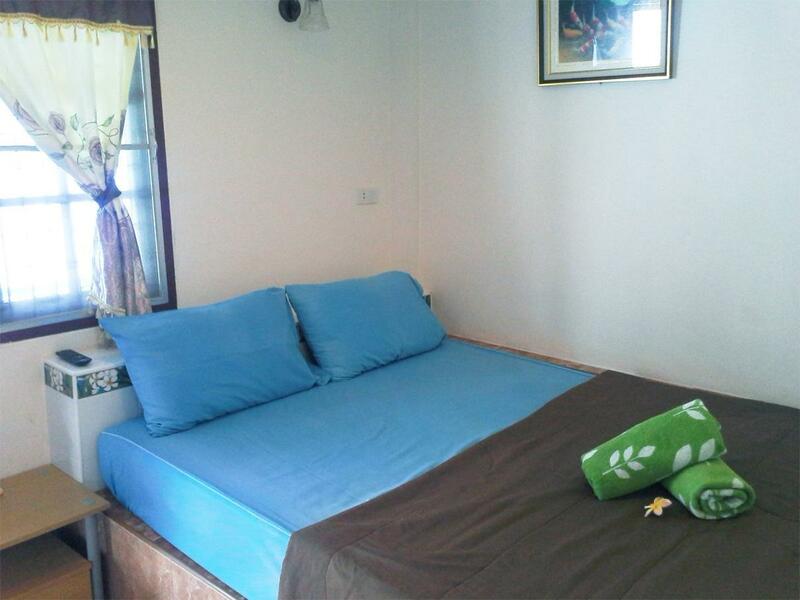 I'd stay again in a cheaper room during low season, but for the money stay elsewhere during high season. Beds were comfortable, bathroom was OK. The lady told us we get a room with aircon because there were no rooms woth only fan - in the next morning she wanted to charge us additionally 500 baht for using the aircon - when we complained she refused to give us back our key deposit. Last minute break to the island for the weekend. Friendly staff with a great location, and sufficient breakfast. Not much more needed for a short weekend break. Room was ok but staff were very impolite. Told us we need to change room half way through our holiday, with out a sorry or thank you or any help. Our breakfast had ants in it. WiFi never worked the whole time we was there. Left early won't be going there again. Shame because rooms are nice, staff was terrible. The room was clean, the garden is small but wonderful and the nights were very silent, far from the ploud music of the main beach. I appreciated the place itself but I would not suggest the location at all: both the way down to the beach and the road to Hat Sai Kaew are just a bit more of a garbage dump, with a disgusting stink all around. I'm not into complaining but I was so shocked it could be still named a national park... Apart from that the owner is very kind and helpful, as are the lovely dogs that came to give us the good morning. I would say it is more for a long stay than a couple of nights, as we did, but still a pleasant guesthouse. Room is too small and not clean. Hotel location is quite far from night life entertainment as well as city center. At the time, there was electricity blackout and the hotel hasn't a generator. It also has bad odor surrounding the hotel.